When we realised we were going to be in Vietnam in February & over the Tet period, we were a little unsure what to expect. Most of the guidebooks seem to disuade tourists visiting during the period, as supposedly the country closes down for 10 days. Therefore, I went online & sought advice from Westerners living here. The Expats I asked, also had the same advice… to avoid coming to Vietnam during Tet. In this blog, I talk about the lead up to Tet, some of the traditions, the experience of Tet itself & how happy we are to have been part of it. It has been an honour to share the Tet festivities with the Vietnamese people & to find out about some of the traditions (although I’m sure there are many we missed or didn’t understand). In fact, I’m sitting here on New Years Day in Hanoi, writing this whilst listening to the sound of local people in the street enjoying this special time with their families. 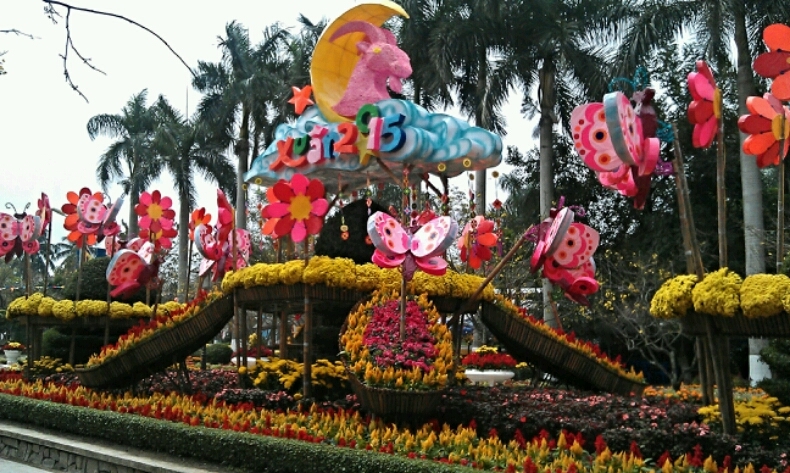 Tet is the most important festival in the Vietnamese calendar. 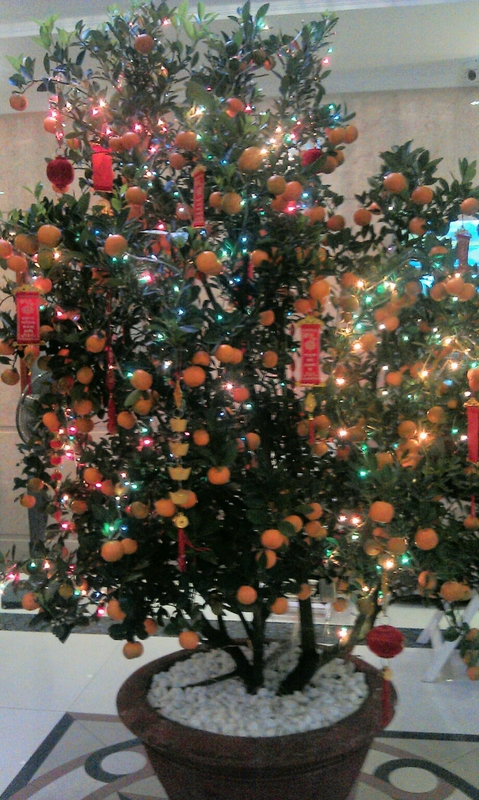 It marks the beginning of the lunar New Year,which is of course also celebrated in China. Wikipedia has a detailed page on Tet including customs & traditions. 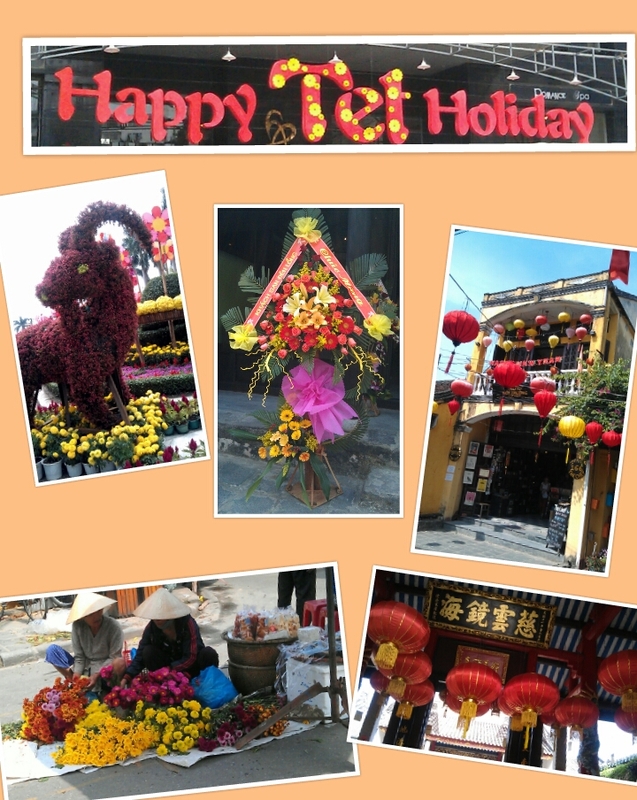 Here are some of the amazing things we observed during the run up, & during Tet itself. 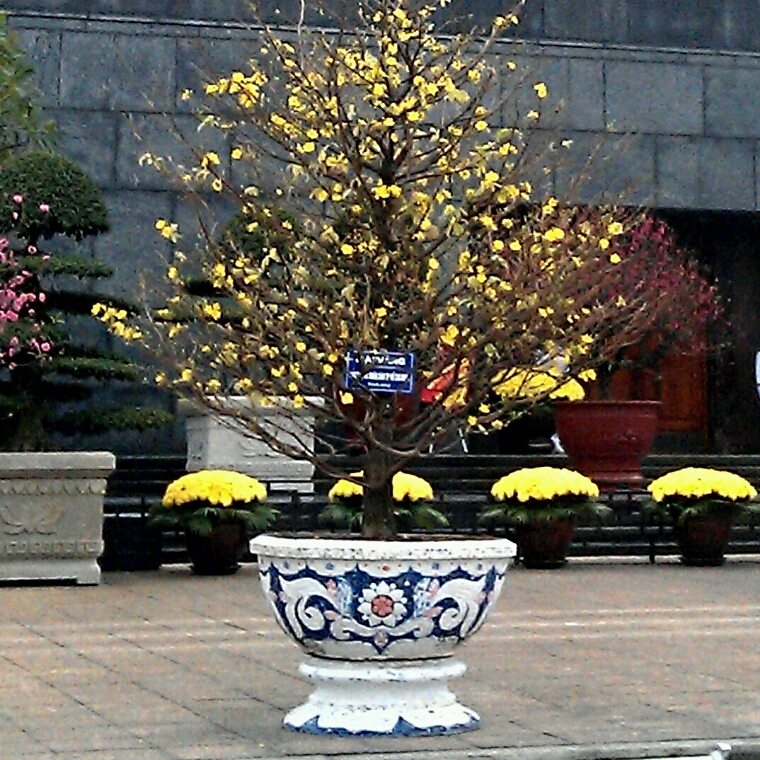 Similar to pine trees for Christmas in the West, the Vietnamese also use many kinds of flowers and plants to decorate their house in this special period. Everywhere was decorated with flowers & the florists & flower stalls smelt & looked amazing. 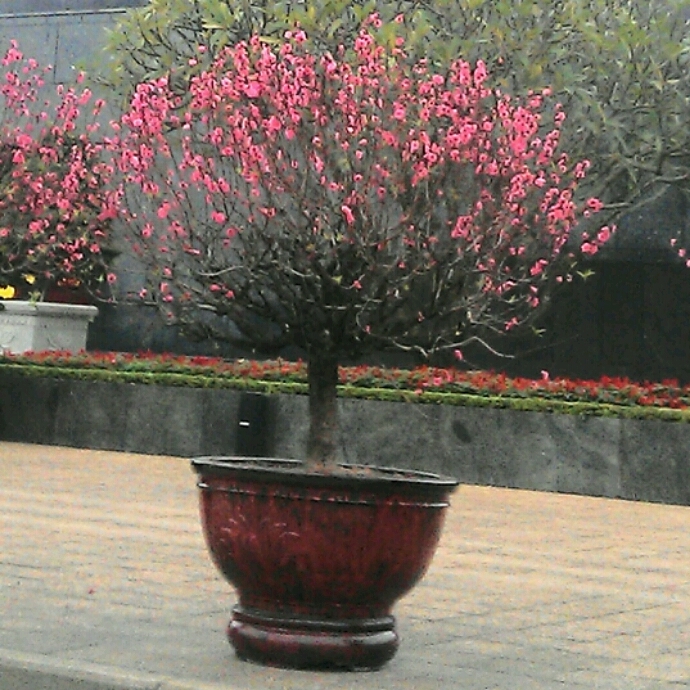 Peach flower and Marumi Kumquat are popular in North Vietnam. People in the South prefer Ochna Itegerrima which has a yellow flower. Most houses & shops had alters on which offerings were placed daily. 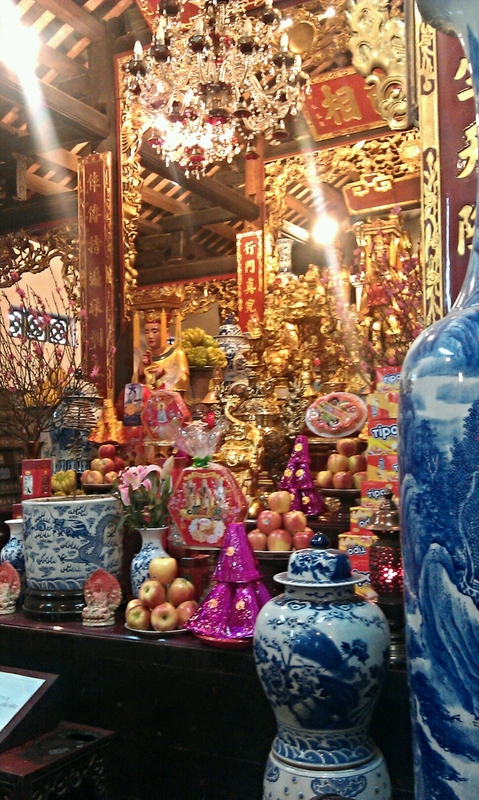 Tables full of fruit, food, flowers & incence, lined the pavements. We even saw a whole roasted pig one day. We saw lots of braziers outside houses & shops, with locals tearing up books of coloured paper & paper icons; especially during the week before Tet. Joss paper marked with wishes for good health, longevity and prosperity is burned, the smoke carrying the messages to heaven. 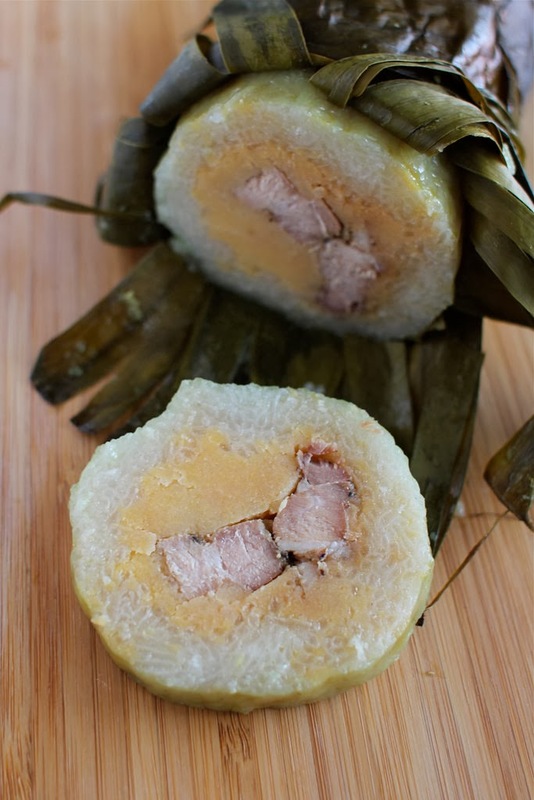 A savoury sticky rice with mung bean paste & pork filling. It looks a bit like a swiss role (cooked in banana leaves) and sliced into thick wheel-shaped slices just prior to serving. I tried some for breakfast & it is very rich & filling. I was told each household will eat it for each of the 3 Tet key days, for breakfast, lunch & dinner. I also tried the Vietnamese Ham popular at Tet, which is like a cold sausage meat. We were amazed by the sheer volume of people congregating at the lake in Hanoi. Children dressed in their best clothing, young men in zoot suits & elderly men in uniforms. We sought a more peaceful spot in a local coffee shop & celebrated with the family who owned it & a couple of fellow customers, whilst watching the fireworks. We watched as the older members of the family gave the younger ones red envelopes which contained traditional wishes for the New year. Also included in the envelopes (but sometimes given separately) is money as a symbol of good luck. We were very surprised when the cafe owner gave us some too. She also offered us food & a pink/purple sparkling wine. We also noticed huge rooted bamboo canes for sale. People were buying them & taking then home on their scooters. 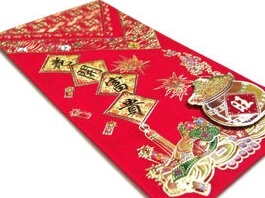 When we asked, these are bought specifically for the New Year & again a sign of good luck. 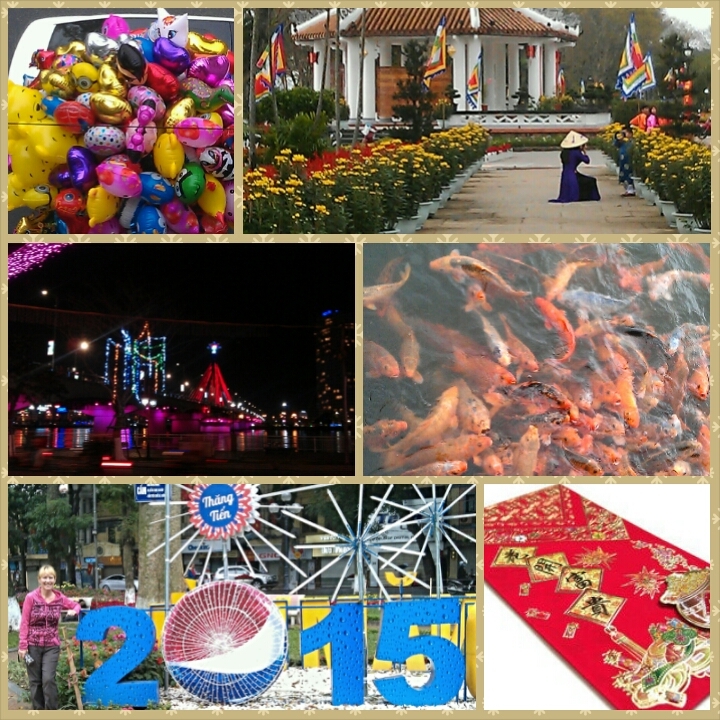 No New Year celebration is complete without them & the ones at Hanoi did not dissapoint. Whilst in Danang, we were told there would be none this year, in respect of their Governor’s recent death. Unfortunately, I’m sure we have not done full justice to Tet. As I said earlier, these are the things we actually experienced ourselves. Many traditions are just for the family & not seen by foreigners. So as I said at the beginning of this blog, I’m certainly glad we visited Vietnam during February & had the chance to experience Tet. Absolutely fascinating – thanks for sharing and I’m glad you ignored some of the advice not to go too!!! What has struck me about many of your photos from this region is the sheer vivacity of colour – wonderful.